Devlin wants volunteers, not draftees, however. Lash’s only concern is getting former lover Nancy out of Italy and back to the States and finding his nephew who’s been drafted. Problems escalate. Supernaturals are being rounded up but not for the same reasons as humans. By a quirk of fate, Lash ends up in the German army as an SS officer in the were division. He makes personal enemies whom he confronts for the duration. He also witnesses atrocities, human and supernatural bravery and sacrifice, as his fellow shifters begin to question their orders. Lash himself commits acts he also considers abominable. As most people will in wartime, he rationalizes everything he does as a necessary means to the end he seeks. 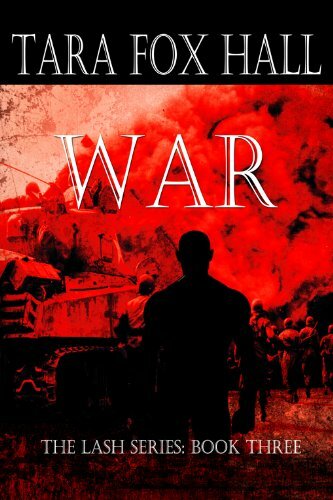 In the midst of it all, he meets four men he’s able to call friends, and he does some soul searching as to his reasons for joining the war. Lash finds Nancy, but damages have been done; he doesn’t know “if there’s enough time in a lifetime to heal what she’s been through . . .” He and his four comrades-in-arms make a dash for freedom and the Allies. Like most ex-soldiers, Lash will return to America changed, though life there will be the same; like some, he’ll find himself questioning what’s gone before as well as what’s to come. Amid historical facts and statistics, Ms. Hall has once again made Lash into a paranormal Everyman, reflecting the outrage of an individual thrust into a conflict not of his own making but doing the best he can to survive while striving to hold on to his personal values. It’s a tale of a personal war played against the background of a global one. Sometimes it’s not a pretty story, because war never is. Often sympathies may not be with him, indeed he may not even be liked, but it’s a story needing to be told with fiction pointing out universal truths.